Some motors are designed to operate at two, three, or four separate designated speeds. The speed of an induction motor depends on the number of poles built into the motor and the frequency of the electrical power supply. Multi-speed motors are available up to 500 hp, and are very reliable, but have several drawbacks. The stator slots have to be bigger than those of single-speed motors in order to accommodate two or more sets of windings. As a result, the motors are bulkier and cannot be easily retrofitted. The current-carrying capacity of the copper is poorly utilized since only one set of windings is active at a time. Because of their dual speed design, however, they still have lower operating efficiencies than comparably sized single speed motors. 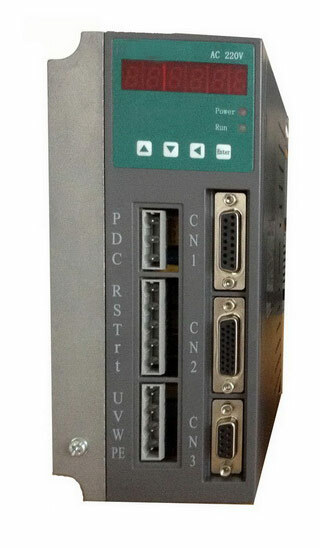 Multiple speed motor starters typically cost up to twice as much as single-speed motor starters. Multi-speed motors themselves cost 50-100 percent more than single-speed motors. Two-speed motors can be used to save energy in such applications as air volume control in facilities that have large differences in day-to-night or weekday-to-weekend air flow requirements. A dual speed fan rated for 1,200 and 1,800 rpm, for instance, can reduce fan energy requirements at night and on weekends by 70 percent. 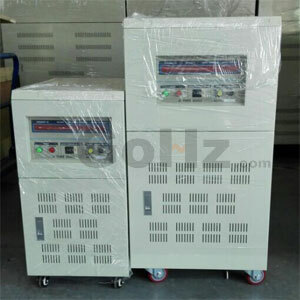 The pole amplitude modulation motor is a single-winding, two-speed, squirrel cage induction motor that avoids some of the drawbacks of conventional two-speed designs. PAM motors are available in a more broad range of speed ratios than standard multi-speed motors, but these are all synchronous speed ratios. Since PAM motors require no additional windings, they are more compact than other multi-speed motors using the same frame size designations. The low speed setting of a PAM motor functions well for soft-starting, producing lower inrush current and heating. 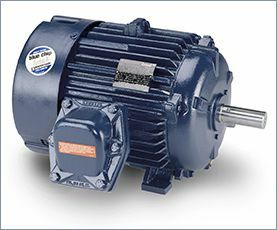 PAM motors are especially well suited for two-speed duty cycle applications,including large fans and pumps, rating from a few to thousands of horsepower. In retrofits, PAM motors allow for continued use of a pre-existing throttle device, such as a valve or damper, while eliminating the heavy losses normally associated with throttle-only controls. Like multi-speed motors, PAM motors are available for variable-torque, constant-torque or constant-horsepower applications. PAM motors with starters cost about the same as standard multi-speed motors.